Currently, the DJI D-RTK-2 base station (optionally available) for the P4R can only be used in RTK mode and then only if it is being sited on a known location. The D-RTK-2 does not currently allow access to an observation file, preventing it from being stationed using an online positioning service such as OPUS, AUSPOS, Canadian Geodetic Survey services and so forth. An additional consideration in our integration into ASPSuite was that professional surveyors already have survey kit that they need incorporated into this workflow. 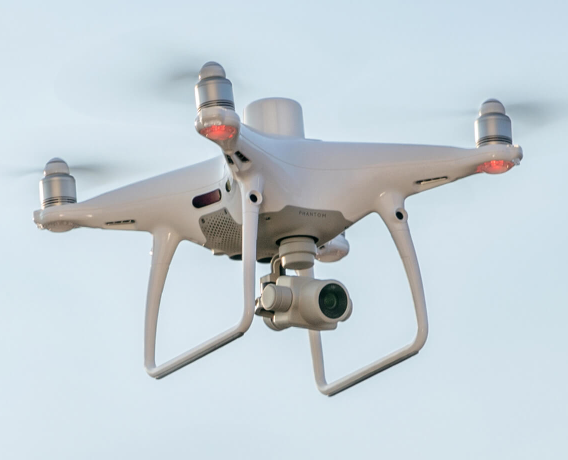 GeoCue is offering camera calibration services for the P4R for those customers who wish to do minimal or control-free high accuracy mapping projects (the DJI “calibration” is an image de-warping algorithm, not a proper photogrammetric calibration). In a recent test of a GeoCue-calibrated P4R using an OPUS positioned base station and ASPSuite, we achieved about 4 cm horizontal and 5 cm vertical network accuracy (RMSE) with no ground control points. While not quite as accurate as a Loki solution, these results are remarkable for a low cost drone. In addition to the above, GeoCue offers a full range of data processing software, cloud-hosted data management, consulting and training services for drone mapping workflows. We have partnered with hundreds of engineering, mining and industrial firms as well as government agencies, providing high accuracy drone mapping solutions. When accuracy and reliability matter, customers select GeoCue.